There are currently 116,732 users on this website. 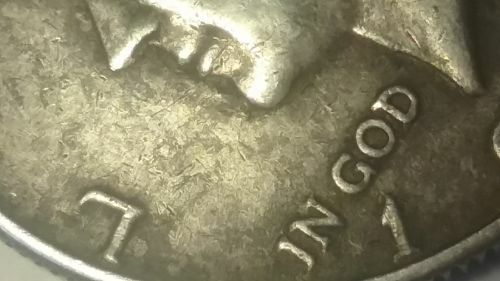 1964 D Kennedy Half Dollar Considered An SMS? 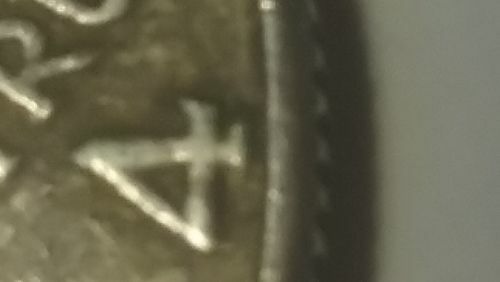 I have had this coin for my entire adult life and have never noticed certain things about it until now. 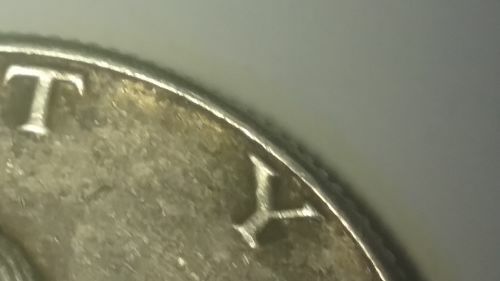 I need someone more skilled than myself to help me identify what it would be considered. Thanks!! 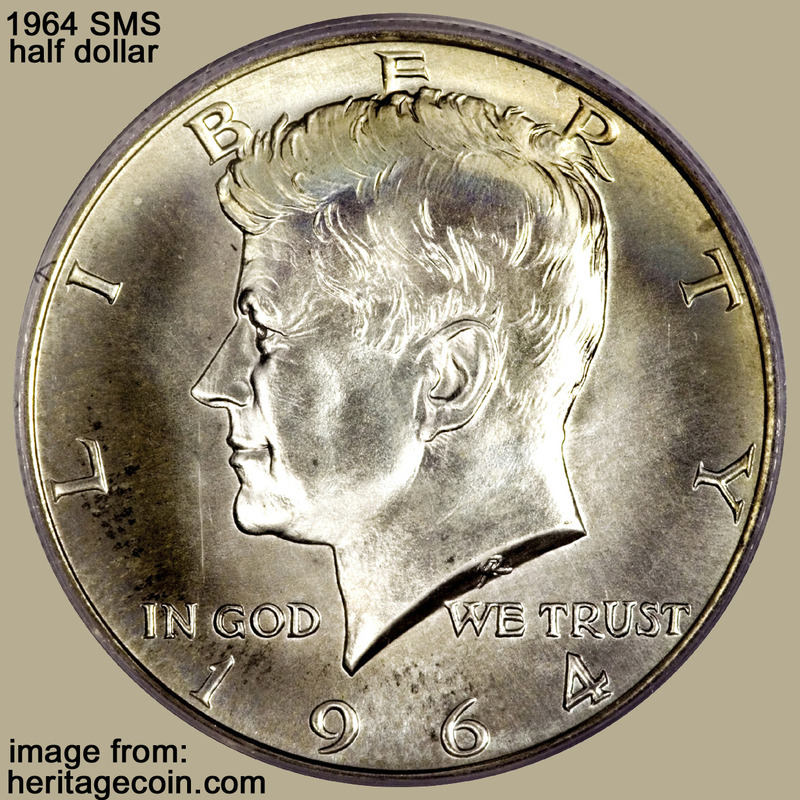 You have a 1964-D business strike Kennedy half dollar . Looks like it was never in a holder . 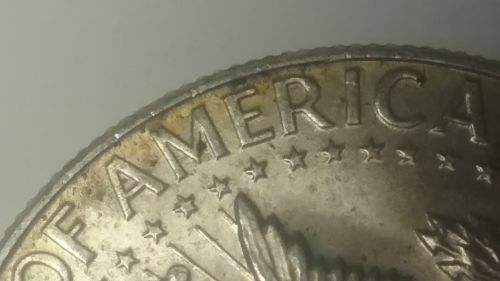 In this condition It's only worth melt , maybe $6.50 . 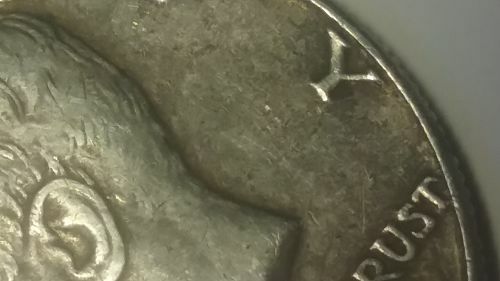 Look closer at the 4 dots on the shield on reverse and also to the grease marks on the H and A in Half. These are particular markers of the 1964 and that have been confirmed. Am I just seeing things? I have looked and have not found a single picture of a business strike with some of the particular markers present here not the coloring being in exact location as already previously confirmed. Isn't 1964 when the first business strikes were the SMS for that year? Just struck more defined and several times in cases? I think I've read it numerous times so far. Not able to tell honestly. It's a once in a lifetime find if so. 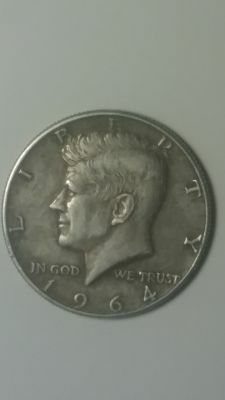 I have had this coin for 20 years and it was passed to me. 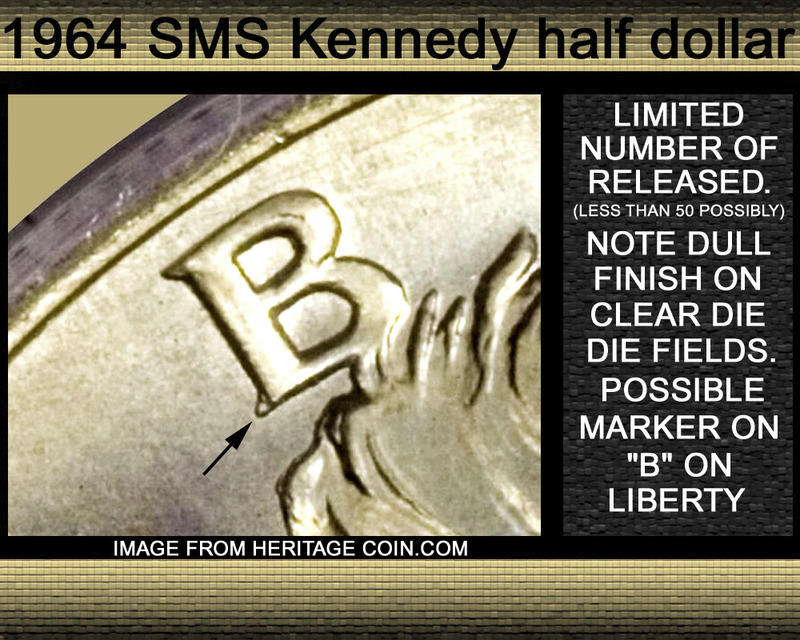 The SMS 1964 coins were not from Denver. 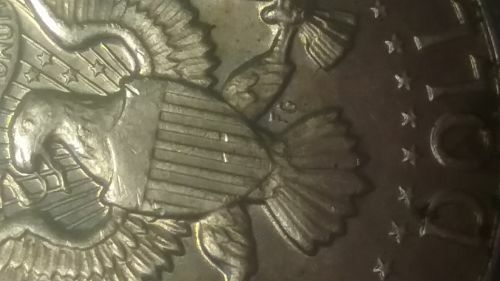 Ok well in that case could it be a transitional die for that year to the d mint originally cast in Philadelphia? 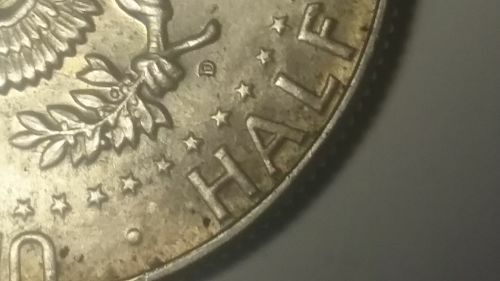 It is just another coin that was struck the same year from Denver. No connection to the SMS coins. What makes the SMS 1964 series special, is that they have no flaws, first die strike and hardly reflective on like the regular proof. Remember, to have the markers, you first have to have the correct coin. 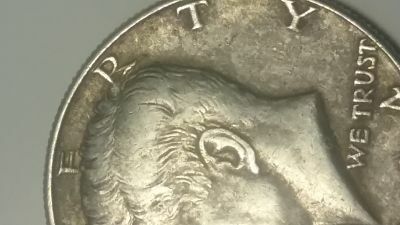 If I have a coin showing all the markers for a 1972 Doubeld Die Obverse, but no doubling, I don't have the DDO. Keep looking and eventually you'll come across something! Happy hunting! 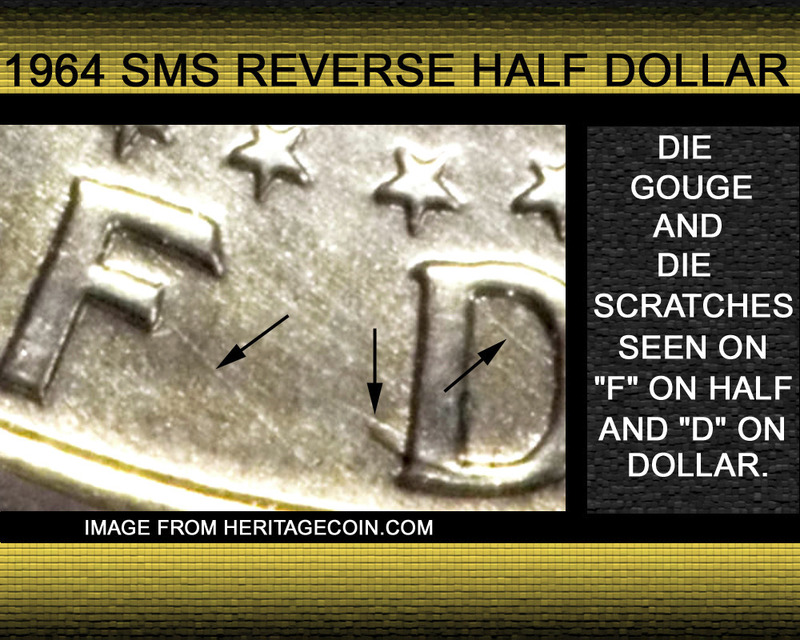 They SMS coins were struck with fresh dies and in limited quanities. (Probably less than 100 examples) these would have been kept in the original packaging. So finding them in the wild is false hope. I've seen examples that matched the die markers, but were not struck with the same process. They were test strikes for the SMS of 1965-1967.
these would have been kept in the original packaging. Possibly but who knows what the "original packaging" was. These were not in any kind of official holders. They could have been kept in a bag, or a tray or a tube etc. The 64 SMS were not kept in sets at all. On the other hand they were never put into circulation either. All of them seem to trace back to Lester Merkin's sale of coins from former Mint Director Eva Adams estate. 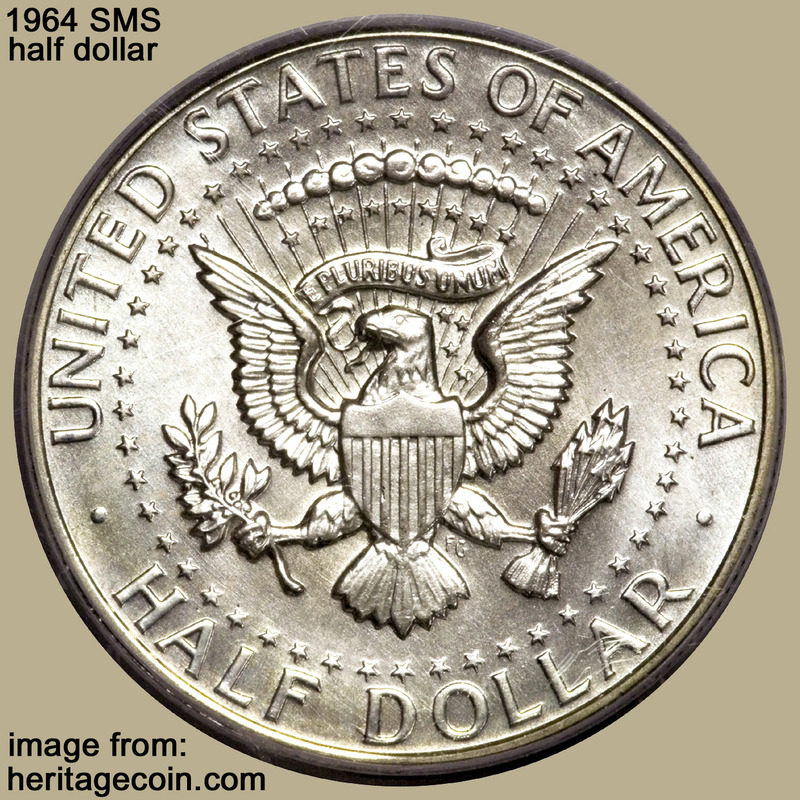 There were 1964-D presentation pieces struck in Denver. 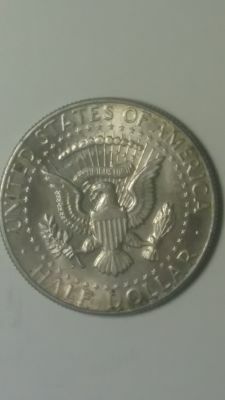 This isn't one of them, and they have no relation to the Philadelphia SMS coins. 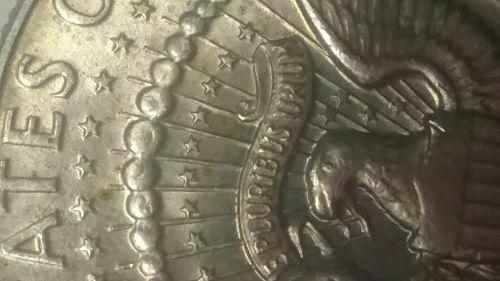 The presentation pieces were struck with business strike dies, but the dies were polished and the coins were struck at least twice to bring up the details. Presentation strikes were given to politicians and a handful of other dignitaries. The dies used for the presentation strikes were used for regular business strikes. I have seen two of the presentation pieces on bourse floors many years ago (early 1970s), but none since then. Both had lightly frosted devices and exceptionally beautiful fields. I've heard all kinds of guesses on how many presentation pieces were struck. In any event, your coin is an ordinary business strike. It took 1.55 seconds to rattle this change.